Overwatch Defense is onwed and operated by Ginney and Travis Rector with both cooperative and strategic alliances and partnerships with others who are helping them grow and expand their business. Into-Reality LP has custom designed their logo, website, collaterla marketing and promotional materials, videos and helped them position themselves nicely through social media. In addition our business consulting and the development of their business presentation and contracts have allowed them to acquire capital to expand their business locally. 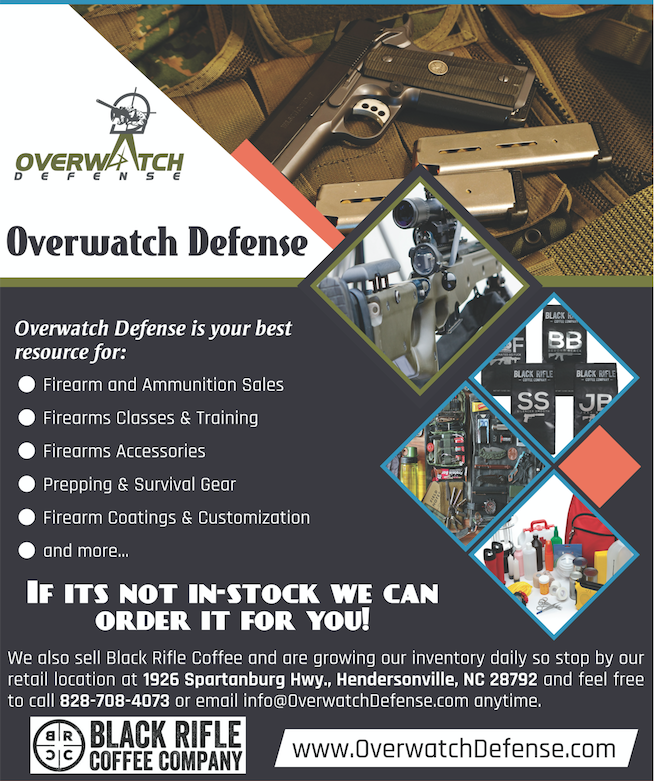 Overwatch Defense offers firearm and ammunition sales, firearm customization and coatings, prepping, survival and tactical gear sales and provides a wide range of firearm classes and training. Visit www.OverwatchDefense.com to learn more!